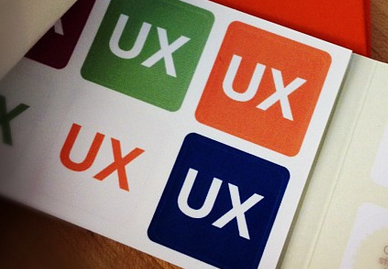 Today I was lucky that I got a ticket to the London UX Cafe meetup. It's a user interface / data architecture related meetup at the Google Campus - unfortunately it's less Google related than I thought, almost nothing. Anyways, it's a nice building. I was really interested to go. Being an architecture and information addict I can appreciate a good UX design anytime. I think most properties are the same between the general way of information theory and user experience. Except that UX is highly targeted. Not to mention - to people. Who always makes things complicated. What I'm really looking for is the way that a well design information architecture can be transformed to a consumable effective medium. It's behavior mixed with strategy. Super complex - for me at least. Having the internet makes easy to find articles and best practices in the topic. And they are really good sources. But they are missing something special. The meetup was well organized. It turned out it was for startups and designers. To bring those two together. There were small presentation, basically introduction about a project, concept, a problem. And then a dedicated panel of experts could react on it. So as well the audience. And pizza, beer, etc. The opinions on the presented materials were interesting. However it's not easy to do so on a live event. There is no proper time and conditions. I've worked with an amazing UX guys once, Angelo. He could explain all the issues on a page with details, precise user behavior, eye tracking, visual balance ... everything that is indeed required to understand user experience. I really enjoyed the meetup. Managed to see familiar faces, meet with new people. Lots of fun.